Ribbentrop first came to Adolf Hitler's notice as a well-travelled businessman with more knowledge of the outside world than most senior Nazis and as an authority on world affairs. He offered his house for the secret meetings in January 1933 that resulted in Hitler's appointment as Chancellor of Germany. He became a close confidant of Adolf Hitler, to the disgust of some party members, who thought him superficial and lacking in talent. 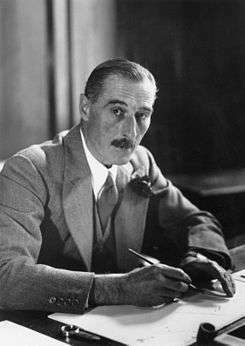 He was nevertheless appointed Ambassador to the Court of St James (for the United Kingdom of Great Britain and Northern Ireland) in 1936 and then Foreign Minister of Germany in February 1938. Before World War II, he played a key role in brokering the Pact of Steel (an alliance with fascist Italy) and the Nazi–Soviet non-aggression pact, known as the Molotov–Ribbentrop Pact. After 1941, Ribbentrop's influence declined. Arrested in June 1945, Ribbentrop was tried at the Nuremberg trials and convicted for his role in starting World War II and enabling the Holocaust. On 16 October 1946, he became the first of those sentenced to death to be hanged. 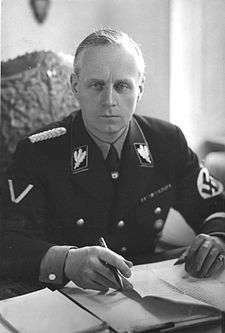 Joachim von Ribbentrop was born in Wesel, Rhenish Prussia, to Richard Ulrich Friedrich Joachim Ribbentrop, a career army officer, and his wife Johanne Sophie Hertwig. From 1904 to 1908, Ribbentrop took French courses in a school at Metz, the German Empire's most powerful fortress. A former teacher later recalled that Ribbentrop "was the most stupid in his class, full of vanity and very pushy". His father was cashiered from the German Imperial Army in 1908 - after repeatedly disparaging Kaiser Wilhelm II for his alleged homosexuality - and the Ribbentrop family was often short of money. For the next 18 months, the family moved to Arosa, Switzerland, where the children continued to be taught by French and English private tutors, and Ribbentrop spent his free time skiing and mountaineering. Following the stay in Arosa, Ribbentrop was sent to Britain for a year to improve his knowledge of the English language. Fluent in both French and English, young Ribbentrop lived at various times in Grenoble, France, and London, before travelling to Canada in 1910. When the First World War began later in 1914, Ribbentrop left Canada, which was at war with Germany as part of the British Empire, and moved to the neutral United States. He sailed from Hoboken, New Jersey, on 15 August 1914 on the Holland-America ship The Potsdam, bound for Rotterdam. Upon his return to Germany, he enlisted in the 12th Hussar Regiment. Ribbentrop served first on the Eastern Front, but was later transferred to the Western Front. He earned a commission and was awarded the Iron Cross. In 1918, 1st Lieutenant Ribbentrop was stationed in Istanbul as a staff officer. During his time in Turkey, he became friends with another staff officer named Franz von Papen. In 1919, Ribbentrop met Anna Elisabeth Henkell ("Annelies" to her friends), the daughter of a wealthy Wiesbaden wine-producer. They married on 5 July 1920, and Ribbentrop travelled throughout Europe as a wine salesman. He and Annelies had five children together. In 1925 his aunt, Gertrud von Ribbentrop, adopted him, which allowed him to add the nobiliary particle von to his name. In 1928, Ribbentrop was introduced to Adolf Hitler as a businessman with foreign connections who "gets the same price for German champagne as others get for French champagne". Wolf-Heinrich Graf von Helldorf, with whom Ribbentrop had served in the 12th Torgau Hussars in the First World War, arranged the introduction. Ribbentrop and his wife joined the National Socialist German Workers' Party on 1 May 1932. Ribbentrop began his political career that summer by offering to be a secret emissary between Chancellor of Germany Franz von Papen, his old wartime friend, and Hitler. His offer was initially refused. Six months later, however, Hitler and Papen accepted his help. Their change of heart occurred after General Kurt von Schleicher ousted Papen in December 1932. This led to a complex set of intrigues in which Papen and various friends of president Paul von Hindenburg negotiated with Hitler to oust Schleicher. On 22 January 1933, State Secretary Otto Meissner and Hindenburg's son Oskar met Hitler, Hermann Göring, and Wilhelm Frick at Ribbentrop's home in Berlin's exclusive Dahlem district. Over dinner, Papen made the fateful concession that if Schleicher's government were to fall, he would abandon his demand for the Chancellorship and instead use his influence with President Hindenburg to ensure that Hitler got the Chancellorship. Ribbentrop was not popular with the Nazi Party's Alte Kämpfer (Old Fighters); they nearly all disliked him. British historian Laurence Rees described Ribbentrop as "the Nazi almost all the other leading Nazis hated". Joseph Goebbels expressed a common view when he confided to his diary that "Von Ribbentrop bought his name, he married his money and he swindled his way into office". During most of the Weimar Republic era, Ribbentrop was apolitical and displayed no anti-Semitic prejudices. A visitor to a party Ribbentrop threw in 1928 recorded that Ribbentrop had no political views beyond a vague admiration for Gustav Stresemann, fear of Communism, and a wish to restore the monarchy. Several Berlin Jewish businessmen who did business with Ribbentrop in the 1920s and knew him well later expressed astonishment at the vicious anti-Semitism he later displayed in the Third Reich, saying that they did not see any indications that he had held such views when they knew him. As a partner in his father-in-law's champagne firm, Ribbentrop did business with Jewish bankers and organised the Impegroma Importing Company ("Import und Export großer Marken") with Jewish financing. In August 1934, Ribbentrop founded an organization linked to the Nazi Party called the Büro Ribbentrop (later renamed the Dienststelle Ribbentrop). It functioned as an alternative foreign ministry. The Dienststelle Ribbentrop, which had its offices directly across from the Foreign Office's building on the Wilhelmstrasse in Berlin, had in its membership a collection of Hitlerjugend alumni, dissatisfied businessmen, former reporters, and ambitious Nazi Party members, all of whom tried to conduct a foreign policy independent of, and often contrary to, the official Foreign Office. Neurath did not think the A.G.N.A. was possible. So to discredit his rival, he appointed Ribbentrop head of the delegation sent to London to negotiate it. Once the talks began, Ribbentrop issued Sir John Simon an ultimatum. He informed Simon that if Germany's terms were not accepted in their entirety, the German delegation would go home. Simon was angry with this demand and walked out of the talks. But to everyone's surprise, the next day the British accepted Ribbentrop's demands and the A.G.N.A. was signed in London on 18 June 1935 by Ribbentrop and Sir Samuel Hoare, the new British Foreign Secretary. This diplomatic success did much to increase Ribbentrop's prestige with Hitler, who called the day the A.G.N.A. was signed "the happiest day in my life". He believed it marked the beginning of an Anglo-German alliance and ordered celebrations throughout Germany to mark the event. General Hiroshi Ōshima, the Japanese Military Attaché and later Ambassador to Germany. Ōshima was one of the few diplomats who were friends with Ribbentrop. The origins of the Anti-Comintern Pact went back to the summer and fall of 1935, when in an effort to square the circle between seeking a rapprochement with Japan and Germany's traditional alliance with China, Ribbentrop and Ōshima devised the idea of an anti-Communist alliance as a way to bind China, Japan, and Germany together. But when the Chinese made it clear that they had no interest in such an alliance (especially given that the Japanese regarded Chinese adhesion to the proposed pact as way of subordinating China to Japan), both Neurath and War Minister Field Marshal Werner von Blomberg persuaded Hitler to shelve the proposed treaty lest it damage Germany's good relations with China. Ribbentrop, who valued Japanese friendship far more than that of the Chinese, argued that Germany and Japan should sign the pact without Chinese participation. By November 1936, a revival of interest in a German-Japanese pact in both Tokyo and Berlin led to the signing of the Anti-Comintern Pact in Berlin. When the Pact was signed, invitations were sent to Italy, China, Britain, and Poland to join. But of the invited powers, only the Italians would ultimately sign. The Anti-Comintern Pact marked the beginning of the shift on Germany's part from China's ally to Japan's ally. In 1935, Ribbentrop arranged for a series of much-publicised visits of First World War veterans to Britain, France and Germany. Ribbentrop persuaded the Royal British Legion and many French veterans' groups to send delegations to Germany to meet German veterans as the best way to promote peace. At the same time, Ribbentrop arranged for members of the Frontkämpferbund, the official German World War I veterans' group, to visit Britain and France to meet veterans there. The veterans' visits and attendant promises of "never again" did much to improve the "New Germany's" image in Britain and France. In July 1935, Brigadier Sir Francis Featherstone-Godley led the British Legion's delegation to Germany. The Prince of Wales, the Legion's patron, made a much-publicized speech at the Legion's annual conference in June 1935 stating that he could think of no better group of men than those of the Legion to visit and carry the message of peace to Germany and that he hoped that Britain and Germany would never fight again. As for the contradiction between German rearmament and his message of peace, Ribbentrop argued to whomever would listen that the German people had been "humiliated" by the Versailles treaty, that Germany wanted peace above all, and German violations of Versailles were part of an effort to restore Germany's "self-respect". By the 1930s, much of British opinion had been convinced that the treaty was monstrously unfair and unjust to Germany, so as a result, many in Britain, such as Thomas Jones, were very open to Ribbentrop's message that European peace would be restored if only the Treaty of Versailles could be done away with. Ribbentrop did not understand the limited role in government exercised by 20th-century British monarchs; he thought that King Edward VIII could dictate British foreign policy if he wished to. He convinced Hitler that he had Edward's support, but this was as much a delusion as his belief that he had impressed British society. In fact, Ribbentrop often displayed a fundamental misunderstanding of British politics and society. During the abdication crisis of December 1936, Ribbentrop reported to Berlin that it had been precipitated by an anti-German Jewish-Masonic-reactionary conspiracy to depose Edward (whom Ribbentrop represented as a staunch friend of Germany), and that civil war would soon break out in Britain between the supporters of the king and those of Prime Minister Stanley Baldwin. Ribbentrop's civil-war statements were greeted with incredulity by those British people who heard them. "The P.M. [Prime Minister] should certainly not see Lord Mount Temple – nor should the S[ecretary] of S[tate]. We really must put a stop to this eternal butting in of amateurs – and Lord Mount Temple is a particularly silly one. These activities – which are practically confined to Germany – render impossible the task of diplomacy. In November 1937, Ribbentrop was placed in a highly embarrassing situation, when his forceful advocacy of the return of the former German colonies led the British Foreign Secretary Anthony Eden and the French Foreign Minister Yvon Delbos to offer to open talks on returning the former German colonies, in return for which the Germans would make binding commitments to respect their borders in central and eastern Europe. Since Hitler was not interested in obtaining the former colonies, especially if the price was a brake on expansion into eastern Europe, Ribbentrop was forced to turn down the Anglo-French offer that he had largely brought about. Immediately after turning down the Anglo-French offer on colonial restoration, Ribbentrop, for reasons of pure malice, ordered the Reichskolonialbund to increase the agitation for the former German colonies, a move that exasperated both the Foreign Office and the Quai d'Orsay. In early 1938 Hitler asserted his control of the military-foreign policy apparatus by, in part, sacking Neurath. On 4 February 1938, Ribbentrop succeeded Neurath as Foreign Minister. Ribbentrop's appointment was generally taken at the time and since as indicating that German foreign policy was moving in a more radical direction. In contrast to Neurath's cautious and less bellicose nature, Ribbentrop unequivocally supported war in 1938–39. Ribbentrop's time as Foreign Minister can be divided into three periods. In the first, from 1938 to 1939, he tried to persuade other states to align themselves with Germany for the coming war. In the second, from 1939 to 1943, Ribbentrop attempted to persuade other states to enter the war on Germany's side or at least maintain pro-German neutrality. In the final phase, from 1943 to 1945, he had the task of trying to keep Germany's allies from leaving her side. During the course of all three periods, Ribbentrop met frequently with leaders and diplomats from Italy, Japan, Romania, Spain, Bulgaria, and Hungary. During all this time, Ribbentrop feuded with various other Nazi leaders. As time went by, Ribbentrop started to oust the Foreign Office's old diplomats from their senior positions and replace them with men from the Dienststelle. As early as 1938, 32% of the offices in the Foreign Ministry were held by men who previously served in the Dienststelle. 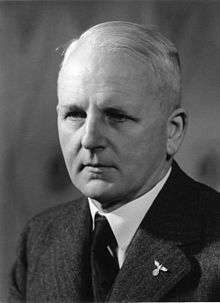 Baron Ernst von Weizsäcker (the State Secretary during the period 1938–1943) opposed the general trend in German foreign policy towards attacking Czechoslovakia: he feared that it might cause a general war that Germany would lose. Weizsäcker had no moral objections to the idea of destroying Czechoslovakia; he was only opposed to the timing of the attack. Weizsäcker favoured the idea of a "chemical" destruction of Czechoslovakia in which Germany, Hungary, and Poland would close their frontiers to destabilize Czechoslovakia economically. He strongly disliked Ribbentrop's idea of a "mechanical" destruction of Czechoslovakia via war, which he saw as too risky. But despite all of their reservations and fears about Ribbentrop — whom they saw as recklessly seeking to plunge Germany into a general war before the Reich was ready — neither Weizsäcker nor any of the other professional diplomats were prepared to confront their chief. Before the Anglo-German summit at Berchtesgaden on 15 September 1938, the British Ambassador, Sir Nevile Henderson, and Weizsäcker worked out a private arrangement for Hitler and Chamberlain to meet with no advisers present as a way of excluding the ultra-hawkish Ribbentrop from attending the talks. Hitler's interpreter Paul Schmidt later recalled that it was "felt that our Foreign Minister would prove a disturbing element" at the Berchtesgaden summit. In a moment of pique at his exclusion from the Chamberlain-Hitler meeting, Ribbentrop refused to hand over Schmidt's notes of the summit to Chamberlain, a move that caused much annoyance on the British side. Ribbentrop spent the last weeks of September 1938 looking forward very much to the German-Czechoslovak war he expected to break out on 1 October 1938. Ribbentrop regarded the Munich Agreement as a diplomatic defeat for Germany, as it deprived Germany of the opportunity to wage the war to destroy Czechoslovakia that Ribbentrop wanted to see; the Sudetenland issue, which was the ostensible subject of the German-Czechoslovak dispute, had been just a pretext for German aggression. During the Munich Conference, Ribbentrop spent much of his time brooding unhappily in the corners. Ribbentrop told the head of Hitler's Press Office, Fritz Hesse, that the Munich Agreement was "first-class stupidity…All it means is that we have to fight the English in a year, when they will be better armed…It would have been much better if war had come now". Like Hitler, Ribbentrop was determined that in the next crisis, Germany would not have its professed demands met in another Munich-type summit, and that the next crisis to be caused by Germany would result in the war that Chamberlain had "cheated" the Germans out of at Munich. In March 1939, Ribbentrop assigned the largely ethnic Ukrainian Sub-Carpathian Ruthenia region of Czecho-Slovakia, which had just proclaimed its independence as the Republic of Carpatho-Ukraine, to Hungary, which then proceeded to annexe it after a short war. The significance of this lies in that there had been many fears in the Soviet Union in the 1930s that the Germans would use Ukrainian nationalism as a tool for breaking up the Soviet Union. The establishment of an autonomous Ukrainian region in Czecho-Slovakia in October 1938 had promoted a major Soviet media campaign against its existence on the grounds that this was part of a Western plot to support separatism in the Soviet Ukraine. By allowing the Hungarians to destroy Europe's only Ukrainian state, Ribbentrop had signified that Germany was not interested (at least for the moment) in sponsoring Ukrainian nationalism. 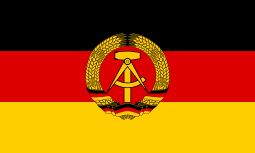 This in turn helped to improve German-Soviet relations by demonstrating that German foreign policy was now primarily anti-Western rather than anti-Soviet. "Some of us are getting rather tired of the sanctimonious attitude which seeks to take upon our shoulders the blame for every crime committed in Europe. If Germany had been left stronger in 1919 she would sooner have been in a position to do what she is doing today". On 31 March 1939, the British Prime Minister Chamberlain announced before the House of Commons the British "guarantee" of Poland, which committed Britain to go to war to defend Polish independence, though pointedly the "guarantee" excluded Polish frontiers. As a result of the "guarantee" of Poland, Hitler began to speak with increasing frequency of a British "encirclement" policy, and used the "encirclement" policy as the excuse for denouncing in a speech before the Reichstag on 28 April 1939 the A.G.N.A and the Non-Aggression Pact with Poland. Ribbentrop played a key role in the conclusion of a Soviet-German non-aggression pact, the Molotov-Ribbentrop Pact, in 1939, and in the diplomatic action surrounding the attack on Poland. In public, Ribbentrop expressed great fury at the Polish refusal to allow for Danzig's return to the Reich, or to grant Polish permission for the "extra-territorial" highways, but since these matters were only intended after March 1939 to be a pretext for German aggression, Ribbentrop always refused in private to allow for any talks between German and Polish diplomats about these matters. It was Ribbentrop's fear that if German-Polish talks did take place, there was the danger that the Poles might back down and agree to the German demands as the Czechoslovaks had done in 1938 under Anglo-French pressure, and thereby deprive the Germans of their excuse for aggression. To further block German-Polish diplomatic talks, Ribbentrop had the German Ambassador to Poland, Count Hans-Adolf von Moltke, recalled, and refused to see the Polish Ambassador, Józef Lipski. On 25 May 1939, Ribbentrop sent a secret message to Moscow to tell the Soviet Foreign Commissar, Vyacheslav Molotov, that if Germany attacked Poland "Russia's special interests would be taken into consideration". On 21 August 1939, Hitler received a message from Stalin reading, "The Soviet Government has instructed me to say they agree to Herr von Ribbentrop's arrival on 23 August". That same day, Hitler ordered German mobilization. The extent that Hitler was influenced by Ribbentrop's advice can be seen in Hitler's orders for a limited mobilization against Poland alone. Weizsäcker recorded in his diary throughout the spring and summer of 1939 repeated statements from Hitler that any German-Polish war would be only a localized conflict and that there was no danger of a general war as long as the Soviet Union could be persuaded to stay neutral. Hitler believed that British policy was based upon securing Soviet support for Poland, which led him to perform a diplomatic U-turn and support Ribbentrop's policy of rapprochement with the Soviet Union as the best way of ensuring a local war. This was especially the case as decrypts showed the British military attaché to Poland arguing that Britain could not save Poland in the event of a German attack, and only Soviet support offered the prospect of Poland holding out. "Whatever may prove to be the nature of the German-Soviet Agreement, it cannot alter Great Britain's obligation to Poland which His Majesty's Government have stated in public repeatedly and plainly and which they are determined to fulfil. If the case should arise, they are resolved, and prepared, to employ without delay all the forces at their command, and it is impossible to foresee the end of hostilities once engaged. It would be a dangerous illusion to think that, if war once starts, it will come to an early end even if a success on any one of the several fronts on which it will be engaged should have been secured"
"When Joachim von Ribbentrop refused to give a copy of the German demands to the British Ambassador [Henderson] at midnight of 30–31 August 1939, the two almost came to blows. Ambassador Henderson, who had long advocated concessions to Germany, recognized that here was a deliberately conceived alibi the German government had prepared for a war it was determined to start. No wonder Henderson was angry; von Ribbentrop on the other hand could see war ahead and went home beaming." As intended by Ribbentrop, the narrow time limit for acceptance of the "final offer" made it impossible for the British government to contact the Polish government in time about the German offer, let alone for the Poles to arrange for a Polish plenipotentiary envoy to arrive in Berlin that night, thereby allowing Ribbentrop to claim that the Poles had rejected the German "final offer". As it was, a special meeting of the British cabinet called to consider the "final offer", they declined to pass on the message to Warsaw under the grounds this was not a serious proposal on the part of Berlin. The "rejection" of the German proposal was one of the pretexts used for the German aggression against Poland on 1 September 1939. The British historian D.C. Watt wrote "Two hours later, Berlin Radio broadcast the sixteen points, adding that Poland had rejected them. Thanks to Ribbentrop, they had never even seen them". On 31 August, Ribbentrop met with Ambassador Attolico to tell him that Poland's "rejection" of the "generous" German 16-point peace plan meant that Germany had no interest in Mussolini's offer to call a conference about the status of Danzig. Besides the Polish "rejection" of the German "final offer", the aggression against Poland was justified with the Gleiwitz incident and other SS-staged incidents on the German-Polish border. As soon as the news broke in the morning of 1 September 1939 that Germany had invaded Poland, the Italian dictator Benito Mussolini launched another desperate peace mediation plan intended to stop the German-Polish war from becoming a world war. Mussolini's motives were in no way altruistic; instead, he was motivated entirely by a wish to escape the self-imposed trap of the Pact of Steel, which had obligated Italy either to go to war at a time when the country was entirely unprepared or to suffer the humiliation of having to declare neutrality, which make him appear cowardly. The French Foreign Minister Georges Bonnet, acting on his own initiative, told the Italian Ambassador to France, Baron Raffaele Guariglia, that France had accepted Mussolini's peace plan. Bonnet had Havas issue a statement at midnight on 1 September saying, "The French government has today, as have several other Governments, received an Italian proposal looking to the resolution of Europe's difficulties. After due consideration, the French government has given a "positive response". Though the French and the Italians were serious about Mussolini's peace plan, which called for an immediate ceasefire and a four-power conference in the manner of the Munich conference of 1938 to consider Poland's borders, the British Foreign Secretary Lord Halifax stated that unless the Germans withdrew from Poland immediately, then Britain would not attend the proposed conference. Ribbentrop finally scuttled Mussolini's peace plan by stating that Germany had no interest whatsoever in a ceasefire, a withdrawal from Poland or in attending the proposed peace conference. In the fall of 1940, Ribbentrop made a sustained but unsuccessful effort to have Spain enter the war on the Axis side. During his talks with the Spanish foreign minister, Ramón Serrano Súñer, Ribbentrop affronted Súñer with his tactless behaviour, especially his suggestion that Spain cede the Canary Islands to Germany. An angry Súñer replied that he would rather see the Canaries sink into the Atlantic then cede an inch of Spanish territory. An area in which Ribbentrop enjoyed more success arose in September 1940, when he had the Far Eastern agent of the Dienststelle Ribbentrop, Dr. Heinrich Georg Stahmer, start negotiations with the Japanese foreign minister, Yōsuke Matsuoka, for an anti-American alliance. The end result of these talks was the signing in Berlin on 27 September 1940 of the Tripartite Pact by Ribbentrop, Count Ciano, and Japanese Ambassador Saburo Kurusu. "Go on with your efforts to bring about the earliest possible participation of Japan in the war against Russia…The natural goal must be, as before, to bring about the meeting of Germany and Japan on the Trans-Siberian Railroad before winter sets in. With the collapse of Russia, the position of the Tripartite Powers in the world will be so gigantic that the question of the collapse of England, that is, the absolute annihilation of the British Isles, will only be a question of time. An America completely isolated from the rest of the world would then be faced with the seizure of those of the remaining positions of the British Empire important to the Tripartite Powers". In the fall of 1941, Ribbentrop worked for the failure of the Japanese-American talks in Washington and for Japan to attack the United States. In October 1941 Ribbentrop ordered Eugen Ott, the German ambassador to Japan, to start applying pressure on the Japanese to attack the Americans as soon as possible. Ribbentrop argued to Hitler that a war between the United States and Germany was inevitable given the extent of American aid to Britain and the increasingly frequent "incidents" in the North Atlantic between U-boats and American warships guarding convoys to Britain. He said that having such a war start with a Japanese attack on the United States was the best way to begin it. Ribbentrop told Hitler that because of his four years in Canada and the United States before 1914, he was an expert on all things American; he thought that the United States was not a serious military power. On 4 December 1941, the Japanese Ambassador General Hiroshi Ōshima told Ribbentrop that Japan was on the verge of war with the United States. In turn, Ribbentrop promised that Germany would join the war against the Americans. On 7 December 1941, Ribbentrop was jubilant at the news of the Japanese attack on Pearl Harbor and did his utmost to support a declaration of war on the United States. He delivered the declaration to the American Chargé d'Affaires Leland B. Morris on 11 December 1941. In the winter and spring of 1942, following American entry into war, the United States successfully pressured all of the Latin American states, except for Argentina and Chile, to declare war on Germany. Ribbentrop considered the acceptance of declarations of war from small states such as Costa Rica and Ecuador to be deeply humiliating, and he refused to see any of the Latin American ambassadors. He had Weizsäcker accept their declarations of war instead. Joachim von Ribbentrop detention report and mugshots. — Walter Bingham, Jerusalem Post, 2011. As the war went on, Ribbentrop's influence waned. Because most of the world was at war with Germany, the Foreign Ministry's importance diminished as the value of diplomacy became limited. By January 1944, Germany had diplomatic relations only with Argentina, Ireland, Vichy France, the Italian Social Republic in Italy, Occupied Denmark, Sweden, Finland, Slovakia, Hungary, Romania, Croatia, Bulgaria, Switzerland, the Holy See, Spain, Portugal, Turkey, Thailand, Japan, and the Japanese puppet states of Manchukuo and the Wang Ching-wei régime of China. Later that year, Argentina and Turkey severed ties with Germany; Finland, Romania, and Bulgaria all joined the Allies and declared war on Germany. Hitler found Ribbentrop increasingly tiresome and started to avoid him. The Foreign Minister's pleas for permission to seek peace with at least some of Germany's enemies — the Soviet Union in particular — played a role in their estrangement. As his influence declined, Ribbentrop spent his time feuding with other Nazi leaders over control of anti-Semitic policies to curry Hitler's favour. The following month, after Germany's surrender, Ribbentrop was arrested by Sergeant Jacques Goffinet, a Belgian citizen who had joined the 5th Special Air Service, the Belgian SAS, and was working with British forces near Hamburg. Found with him was a rambling letter addressed to the British Prime Minister "Winston Churchill" criticizing British foreign policy for anti-German bias, blaming the British for the Soviet occupation of eastern Germany, and for the advance of "Bolshevism" into central Europe. 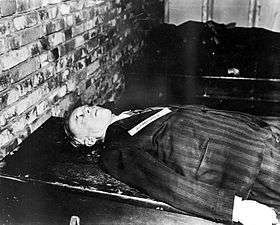 Joachim von Ribbentrop's body after his execution. Ribbentrop was a defendant at the Nuremberg Trials. The Allies' International Military Tribunal convicted him on four counts: crimes against peace, deliberately planning a war of aggression, war crimes, and crimes against humanity. According to the judgment, Ribbentrop was actively involved in planning the invasions of Austria, Czechoslovakia, and Poland. He was also deeply involved in the "final solution"; as early as 1942 he had ordered German diplomats in Axis countries to hasten the process of sending Jews to death camps in the east. He supported the lynching of Allied airmen shot down over Germany, and helped to cover up the 1945 murder of Major-General Gustave Mesny, a French officer being held as a prisoner of war. He was held directly responsible for atrocities that took place in Denmark and Vichy, France, since the top officials in those two occupied countries reported to him. Ribbentrop claimed that Hitler made all of the important decisions, and that he had been deceived by Hitler's repeated claims that he only wanted peace. The Tribunal rejected this argument, saying that given how closely involved Ribbentrop was with the execution of the war, "he could not have remained unaware of the aggressive nature of Hitler's actions." Even in prison, Ribbentrop remained loyal to Hitler: "Even with all I know, if in this cell Hitler should come to me and say 'Do this! ', I would still do it." Gustave Gilbert, an American Army psychologist, was allowed to examine the Nazi leaders who stood trial. Among other tests, he administered a German version of the Wechsler-Bellevue IQ test. Joachim von Ribbentrop scored 129, the 10th highest among the Nazi leaders tested. At one point during the trial, a US Army interpreter asked Baron Ernst von Weizsäcker how Hitler could have promoted Ribbentrop to high office. 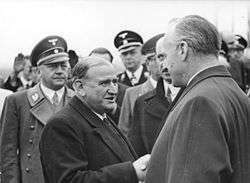 Weizsäcker responded, "Hitler never noticed Ribbentrop's babbling because Hitler always did all the talking." On 16 October 1946, Ribbentrop became the first of those sentenced to death at Nuremberg to be hanged after Göring committed suicide just before his scheduled execution. The hangman was U.S. Master Sergeant John C. Woods. Ribbentrop was escorted up the 13 steps of the gallows and asked if he had any final words. He said: "God protect Germany. God have mercy on my soul. My final wish is that Germany should recover her unity and that, for the sake of peace, there should be understanding between East and West. I wish peace to the world." Nuremberg Prison Commandant Burton C. Andrus later recalled that Ribbentrop turned to the prison's Lutheran chaplain immediately before the hood was placed over his head and whispered, "I'll see you again." His body, as those of the other nine executed men and the corpse of Hermann Göring, was cremated at Ostfriedhof (Munich) and the ashes were scattered in the river Isar. ↑ Lawson, Robert (2007). "Ribbentrop in Canada 1910 to 1914: A Note". International History Review. 29 (4): 821–832. doi:10.1080/07075332.2007.9641142. JSTOR 40110928. ↑ Shirer, William (1990). Rise And Fall of the Third Reich: A History of Nazi Germany. New York: Simon and Schuster. p. 1056. ↑ Demetz, Peter (2009). Prague in Danger: The Years of German Occupation, 1939–45: Memories and History, Terror and Resistance, Theater and Jazz, Film and Poetry, Politics and War. New York: Farrar, Straus and Giroux. p. 56. 1 2 Hillgruber, Andreas (1974). "England's Place in Hitler's Plans for World Dominion". Journal of Contemporary History. 9: 5–22 (15). doi:10.1177/002200947400900101. JSTOR 260265. ↑ Strang, Bruce (1996). "Once more onto the Breach: Britain's Guarantee to Poland, March 1939". Journal of Contemporary History. 31: 721–752 (736–737). doi:10.1177/002200949603100406. JSTOR 261045. ↑ "Arrivals: A true professional" (Features). Jpost Inc. jpost.com. 3 June 2011. Retrieved 29 June 2015. ↑ Bingham, Walter. "Walter Bingham speech in Jerusalem - How Walter Changed His Name". Israel Beat Jewish Music Podcast. Retrieved 29 June 2015. ↑ Applebome, Peter (14 March 2007). "Veteran of the Nuremberg Trials Can't Forget Dialogue With Infamy". The New York Times. ↑ Andrus, Burton C., I Was the Nuremberg Jailor, New York: Coward-McCann, 1969, p. 195.